Our Michigan birth injury lawyers handle birth injury cases involving Erb's Palsy, including brachial plexus injuries. These injuries are classified as either Erb's Palsy or Klumpke's Palsy. Erb's Palsy is one of the most common and serious of all shoulder dystocia injuries, a type of trauma which results from a newborn's shoulder becoming stuck behind the mother's cervix during delivery. 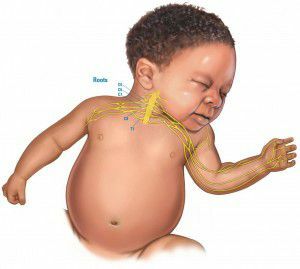 Erb's Palsy results in damage to the nerves connecting the arm and shoulder from the use of excessive force or torque by the obstetrician, to release the stuck shoulder of the newborn. More specifically, when a baby's shoulder becomes stuck behind the mother's pubic bone the baby's head delivers but the shoulders do not follow. This condition is known as a shoulder dystocia. Erb's Palsy is one of the most difficult obstacles that can occur during delivery because it carries with it the potential for high risk complications. When the baby's shoulder becomes stuck during delivery, the physician must perform a particular delivery maneuver to avoid the placement of pressure on the shoulder. If this procedure is done improperly or not performed at all, an Erb's Palsy can occur and the nerve tissue between the arm and shoulder is stretched, partially torn or completely ruptured. These affected nerves are referred to as the "brachial plexus nerves" and emerge from the spinal cord, travel across the shoulder, along the arms, into the hand and ultimately, to the fingers tips. The injury which results to these nerves can cause the shoulder dystocia victim to suffer a potentially permanent, partial or complete paralysis of the arm. When this condition could have been prevented with proper medical care, it will give rise to a medical malpractice lawsuit. No muscle control and no feeling in the arm or hand. The ability to move but with little control. The use of hands but not of the shoulder or elbow. The entire arm may be paralyzed with the hand and fingers hanging limp. Facial paralysis on the affected side. Not able to sit up without assistance. Many of these symptoms can improve with appropriate medical intervention, like physical therapy, but others are permanent and last a lifetime. These impact on a child's self-esteem, the ability to engage in regular childhood activities, and often later on a person's ability to obtain gainful employment. How Do I File a Michigan Erb's Palsy Lawsuit? A properly trained physician should recognize the risk factors for Erb's palsy before the birth of the baby. Common risk factors include high birth weight, mother's diabetes, a heavy mother, pregnancy beyond 40 weeks, and other factors. The failure to recognize these potential risks and act accordingly may constitute negligence or medical malpractice. Erb's Palsy lawsuits seek compensation for the child and the parents. Settlements are often substantial and include money for pain and suffering and disability. Compensation also includes payment of lifetime medical care as well as for future lost income due to the inability to perform many types of jobs. The lifelong impact of this condition can be substantial. 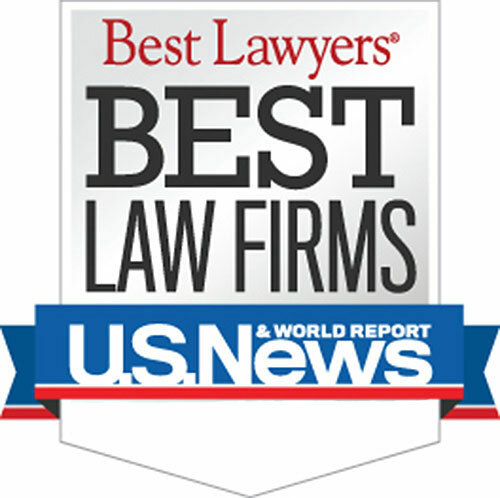 Who is the best Michigan Erb's Palsy Lawyer? The attorneys at Buckfire Law understand issues relating to Erb's Palsy. This allows us to get the best settlements for our clients. It is important to have an attorney not afraid to fight for you when you have dealt with any Erb's Palsy issue. If your child was injured at birth and suffers from Erb's Palsy, it is important that you contact our top rated Michigan medical malpractice attorneys at (800) 606-1717. We offer a free, no obligation case review and will represent you under our No Win, No Fee Promise. This means there are no legal fees or costs until we win or settle your claim. Call us today to discuss your case with one of our expert attorneys that specializes Erb's Palsy cases. There are strict time limitations for filing these lawsuits so it is important that you call today to get started on your case.